Incontinence is not an inevitable part of aging, nor is it untreatable once it develops. 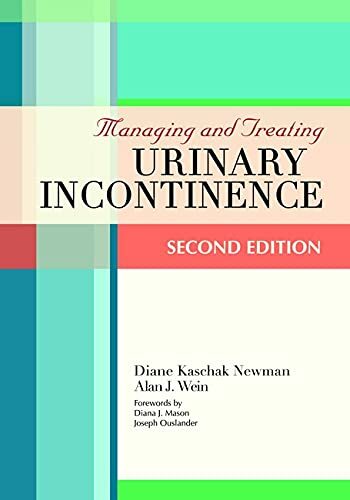 Thoroughly revised and updated, this new edition of a trusted resource teaches diverse and effective strategies for assessing, managing, and even eliminating urinary incontinence in all care settings. Managing and Treating Urinary Incontinence presents a full range of treatment options, explaining how each method works and who benefits most from its use. In pragmatic, easy-to-understand language, readers will learn essential information about the anatomy and physiology of the lower urinary tract and pelvic floor the types and causes of incontinence and overactive bladder the impact of bowel dysfunction on incontinence the value of incontinence education and self-care techniques the efficacy of behavioral treatments, such as bladder retraining and toileting programs the role of drug therapy and surgery in managing incontinence This second edition provides expanded content on surgical interventions and pelvic organ prolapse, the latest information on available overactive and incontinence drug therapy, and a glossary of clinical terminology. Plus, a comprehensive review of incontinence containment products with illustrations and their availability is included. An accompanying CD-ROM contains new patient teaching tools, detailed assessment forms, and useful care plans for 12 common incontinence scenarios. With the knowledge in this comprehensive guidebook, nursing staff will measurably improve the health and independence of residents or patients, and managers will reduce facility costs and staff burden. This book is a must-have for nurses, medical directors and nursing home administrators, incontinence specialists, occupational therapists, physical therapists, primary care physicians, social workers, and other health care professionals who work with older adults. Ms. Newman is an adult nurse practitioner and a recognized expert in the field of nonsurgical management and treatment of urinary incontinence and related disorders. She is Co-Director of the Penn Center for Continence and Pelvic Health in the Division of Urology University of Pennsylvania Health System in Philadelphia. Her clinical practice is dedicated to the evaluation, treatment, and management of urinary incontinence and related problems. She treats clients in long-term care, home care, and office practice environments. Ms. Newman participated in several research projects on the effects of behavioral treatment for urinary incontinence. Ms. Newman received her master of science in nursing from the University of Pennsylvania. She was appointed the Chair of the Committee on Promotion, Organization and Education in Continence for the 2001 World Health Organizationâ? ?s International Consultation on Incontinence. She was also a member of the Project Task Force for the National Association for Continence, Blueprint of Continence Care Guidelines for Assisted Living Facilities, and Co-Chair of the 1996 Update Panel for the Clinical Practice Guidelines called â? ?Urinary Continence in Adults,â? published by the Agency for Health Care Policy and Research, U.S. Department of Health and Human Services. In 1998, the Federal Drug Administration (FDA) appointed Ms. Newman to the Gastroenterology and Urology Device Panel. She is a member of the Centers for Medicare & Medicaid Servicesâ?? Scope and Severity of Nursing Care Deficiencies guideline panel of experts on long-term care. Ms. Newman is an internationally known speaker on urinary incontinence and the use of devices and products in the management of incontinence. A prolific writer, Ms. Newman has written and presented more than 75 scientific papers, chapters, and articles in major journals on the subject of assessment, behavioral treatment, and management of incontinence with an emphasis on the nurseâ? ?s role. She is the author of The Urinary Incontinence Sourcebook (Revised edition; 1999, McGraw-Hill).